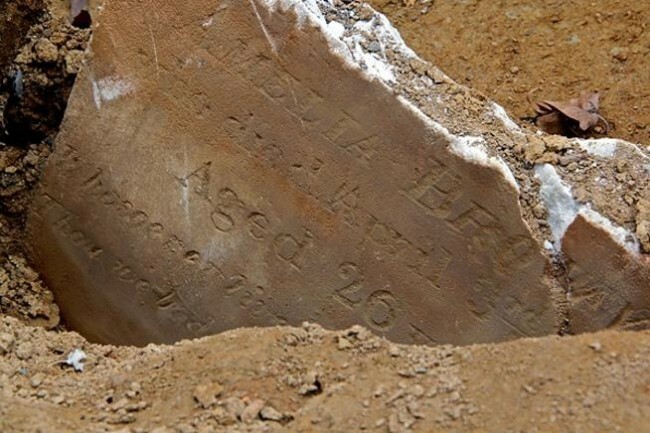 Born in Guinea, African in approximately 1744, Felicita Ardica died this date, October 5th, in 1814 and was buried at Bethel Burying ground. By 1793, Philadelphia became the center of French refugee life in America primarily due to the revolt of the enslaved in Haiti. Black Saint Dominguans were arriving at the Port of Philadelphia by the hundreds. They had been the domestic slaves of the white plantation owners and now in Philadelphia, they were freed. However, most were forced into indentures that would last for many years. Ms. Ardica may well have been one of those individuals. Ms. Ardica was a practicing Roman Catholic. She regularly attended Holy Trinity Church at 6th and Spruce Streets. This Roman Catholic church was founded by Germans in 1789 was used by Frenchmen and French-speaking people of color since the arrival of white Canadian Arcadians in 1755. Holy Trinity Church was known as early as 1801 for refusing Black congregants burial in the church’s graveyards. That is why she is buried at Bethel Burying Ground. The apartheid continued even after death. ← The six-month-old son of Samuel and Elizabeth Edwards died this date, October 1st, in 1848 and was buried at Bethel Burying Ground.